It's a family affair... I've kept a daily journal (or as near as damn it) ever since we moved to France some 20 years ago or so, when our daughter was but a babe in arms. In it I've recorded all the highs and lows and all the positives and negatives of being strangers in an alien culture. Our daughter, for example, has been through the entire French educational system - and just about lived to tell the tale. My wife has gone from treating patients in our spare room as a back-street aromatherapist to being a legend in her own lunchtime, with her own successful clinic in Brive and enough client files to fill a Library of Congress. She keeps me in the style to which I have grown accustomed. 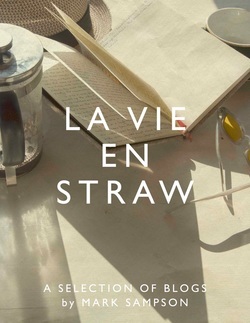 After a recent sabbatical to write a children's novel, I've re-launched my blog - ﻿La Vie En Straw﻿ - as an adjunct to this journal. If daily life sometimes seems routine, it never fails to amaze me that we are still here, living in this beautiful land among such fascinating - and sometimes - maddening people. Funny how life works out... You can read about its seasonal vicissitudes in my new book of the same title. Since music has been and continues to be such an important part of my life, I have also started an irregular appraisal of key albums, La Vie En Albums. Last time the mood took me, I spotlighted Native Dancer. Feel free to join in.